It looks like an eye. I wonder if a similar process creates the iris. 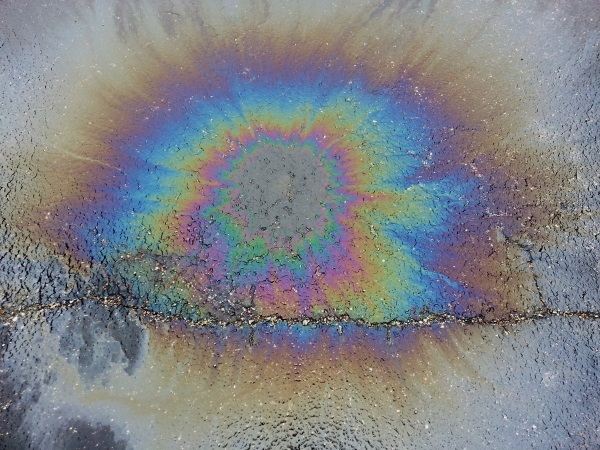 Oil near a drain in a parking lot. Without the caption, my first guess would have been ‘false-color display of a moon/martian/(choose-your-favourite-moon-or-planet) crater’.